Yesterday we talked about my recent “dropping the ball”. Today I want to share with you another way of looking at it. This comes from one of my favorite speakers Les Brown. He compared the mind to the garden. In the garden weeds represent problems. So, in the garden of life we will consider weeds to represent the problems. As we can see above weeds, and problems, do not need any help to grow. 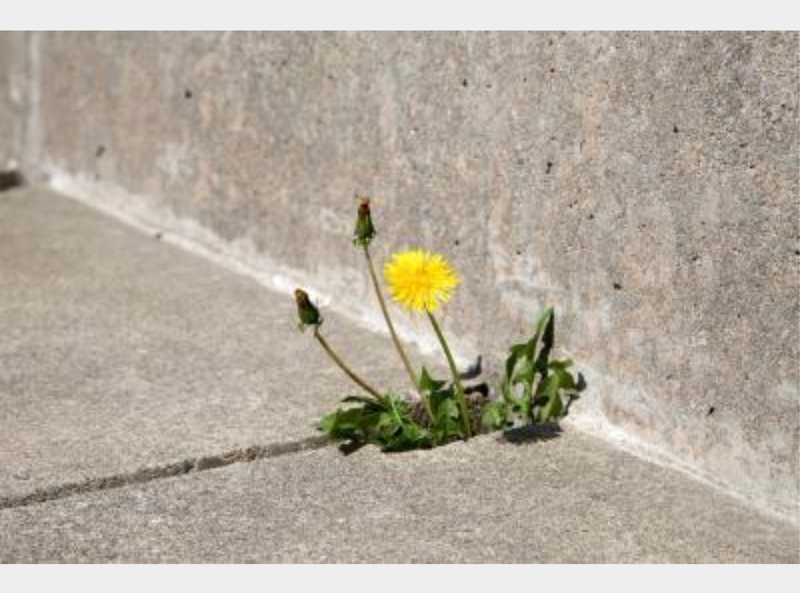 They can even grow in the cracks in asphalt. If we left our garden to it’s own devices weeds would surely take over. That may sound crazy to a lot of us. Why, after all, would you go through the problem of setting up a garden, planting a garden and then let nature take it’s course. Oddly enough, that is what most of us do in our lives. We wake up like an accident. No purpose, no focus. Oh sure we plan to go to work, plan to make dinner and a few other things, but those are not part of planting our garden. Think of a garden, you have to choose what you want it to grow by planting the right seeds. What ideas or projects have you planted in your own life? Then, in our imaginary garden let us say we planted roses. To raise a beautiful rose there are certain things you have to do. Water it so often, make sure it receives enough sun. Perhaps add some sort of fertilizer. Life is no different. If you have a great idea or project you have planted you must cultivate the proper environment for that idea to grow. One more thing we have to do in our garden. Weed. If we just left weeds in our garden alone and worried about taking care of our plants they would eventually crowd out and kill our plants. Same in life. You must deal with your problems, or pull the weeds, before they grow and kill your dreams and ideas. So what we have here is a balance. You must tend to your plants in your garden, or your dreams, ideas and projects in your life. You must also spend time removing the weeds in your garden, or addressing and eliminating the problems in your life.